Valentines Day is fast approaching and with that a world of disappointment for the thousands that forgot, didn't getting a reservation, or just didn't plan it right. Restaurants will be packed to the rafters so why no spoil your someone special with a beautiful dinner at home? 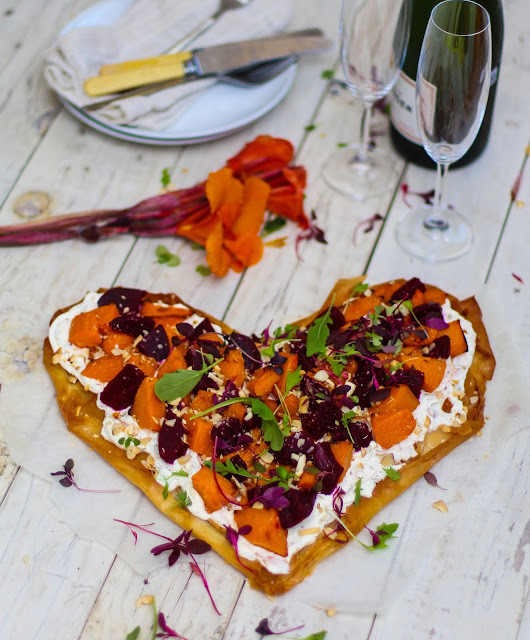 Get a good bottle of wine (a slightly wooded chenin or chardonnay would go down a treat with this), a big bunch of flowers and you're golden! 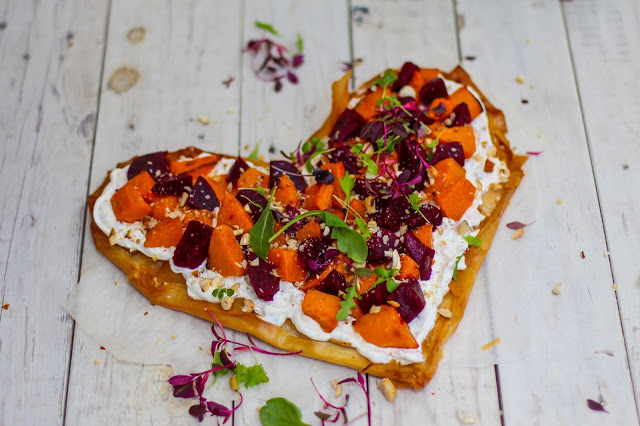 Grease a baking tray with a little olive oil, toss in the butternut, pour over a dash more olive oil, season with salt and roast for 20-25 minutes, until the butternut it tender and beginning to brown. Set aside and allow to cool. Take out 5 sheets of phyllo pastry, fold them in half and cut half a heart shape across the spine of the fold so that when you open the pastry it looks like a heart. 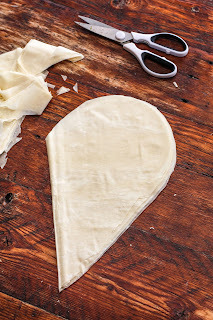 Place the first Phyllo heart onto the paper and brush with olive oil. Top with the next and repeat with all 5 sheets. 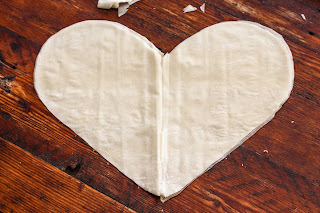 Fold over the edges of the heart to form a thin border. Prick the pastry all over with a fork to stop it from rising. Whip the cream and feta together to form a thick cream. Add the black pepper and nuts and fold through. 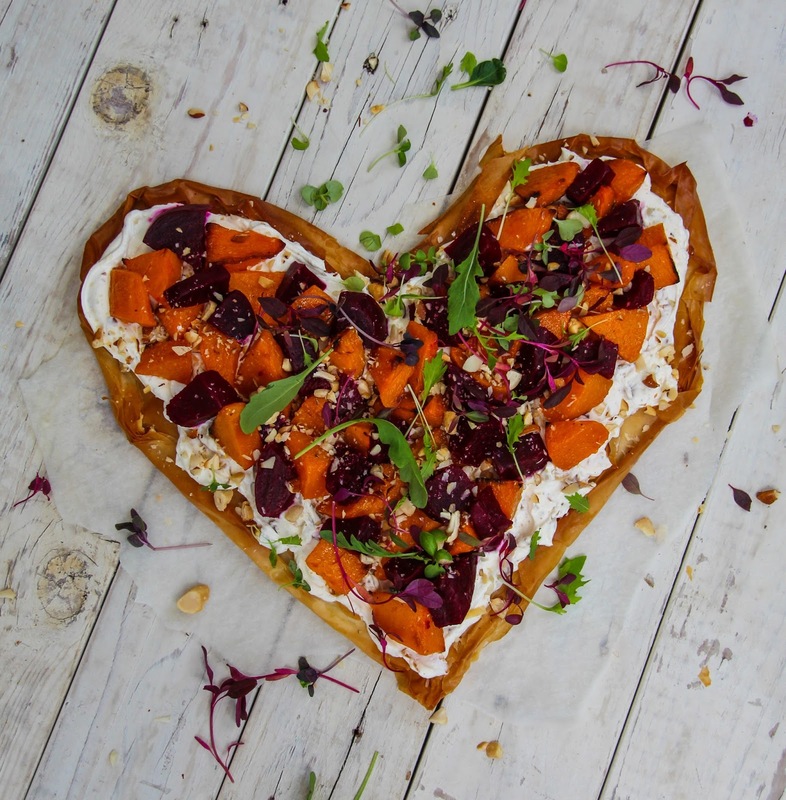 Place the pastry heart onto a serving dish and spread over an even layer of the feta and nut cream. Top with butternut and beetroot and finish with nuts and microherbs.